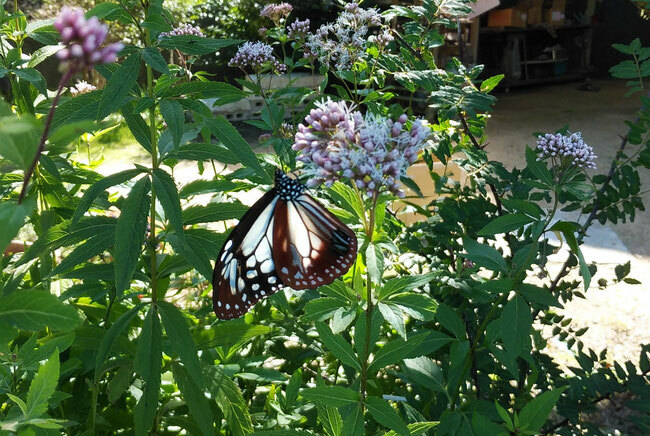 A beautiful butterfly flew to us the other day on October 14th, consuming nectar from boneset flowers. I wonder where it came from thinking that it can fly as far as a few thousands kilometers in site of being such a small body. I wished it continues to fly vigorously to the destination in the south.